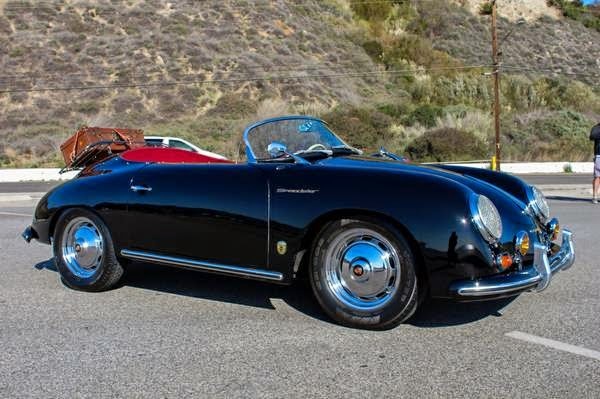 Buy Classic Volks – Here’s we found an excellent professionally restored 1956 Porsche 356 Speedster replica ready to go. 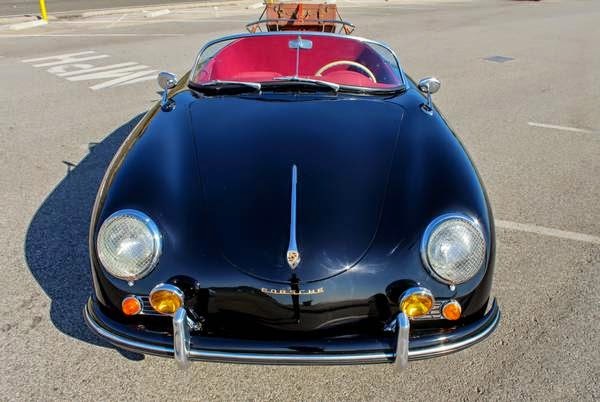 This a Porsche Speedster fiberglass replica, has recently been cosmetically restored. 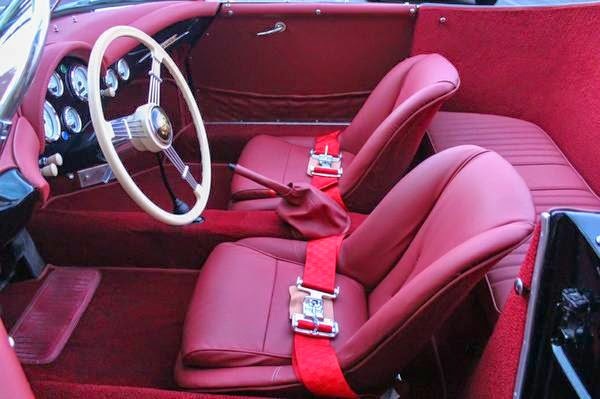 Paint, exterior trim, and interior are all new. 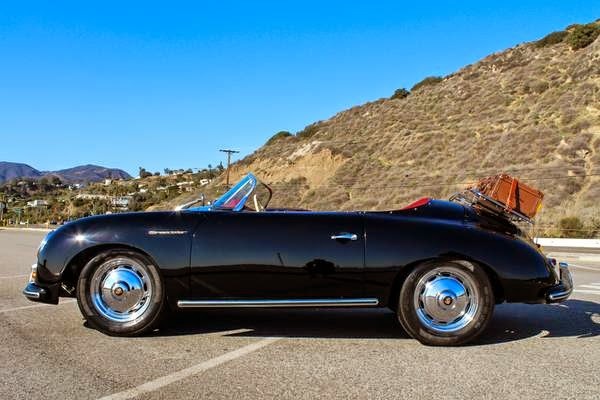 The purpose of the restoration was to match the style of the original Porsche and accessorize with all the best Speedster options. 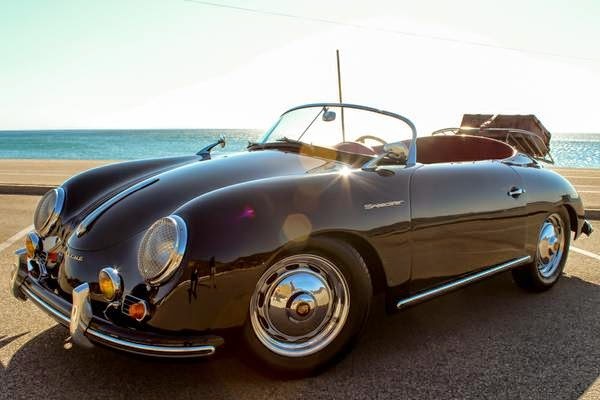 For sale is a Porsche Speedster fiberglass replica. 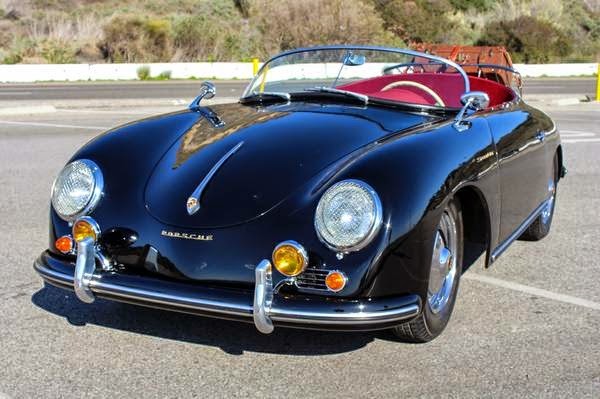 This Speedster has recently been cosmetically restored. Paint, exterior trim, and interior are all new. 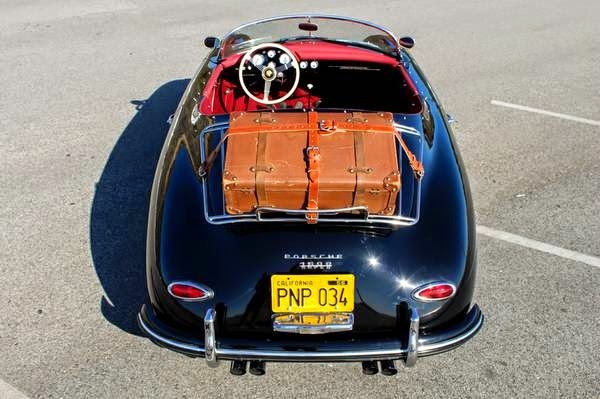 The purpose of the restoration was to match the style of the original Porsche and accessorize with all the best Speedster options. 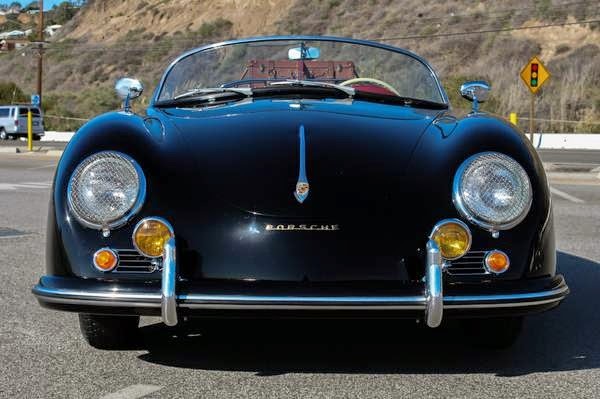 The replica used for the restoration was excellent and didn’t need any body work and was in excellent mechanical condition. 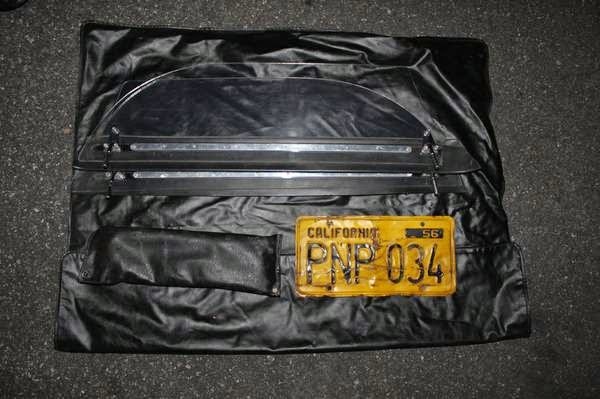 The body was disassembled, repainted and re-assembled with all new weather stripping, gaskets and trim. 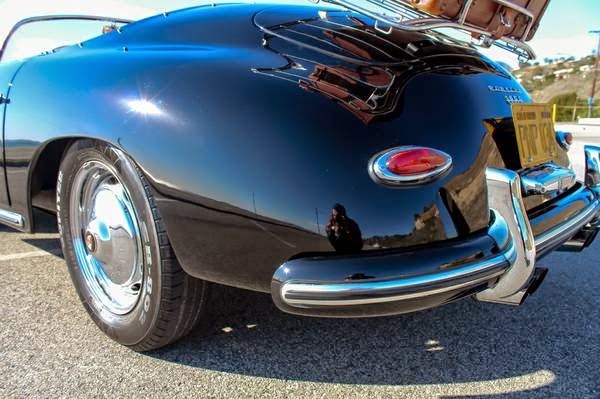 All trim on the body is either new or refinished. 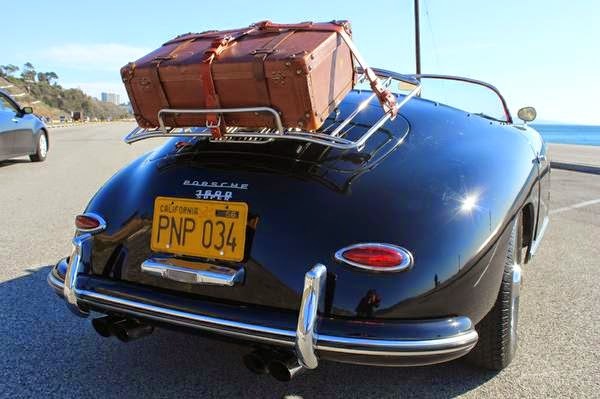 The following is a list of features and BRAND NEW parts equipped: Leitz style luggage rack ($400), leather luggage straps ($250), bumper guards ($300), headlight grilles ($100), amber fog lights ($200), Banjo wheel with golden lady horn ring ($500), VDO Vintage 6 gauge white set ($900), windshield wiper set, Porsche style door panels, vintage racing latch seat belts ($150), Porsche wheels, quad exhaust (car doesn’t sound like a VW Beetle), dual side mirrors, bucket seats, trunk carpet, plexi glass side windows, convertible top, tonneau cover, YOM 56 plates, indicator lights, weatherstripping and Porsche badges ($700), trunk grille vintage badges (Switzerland and Germany), coco mats and more. 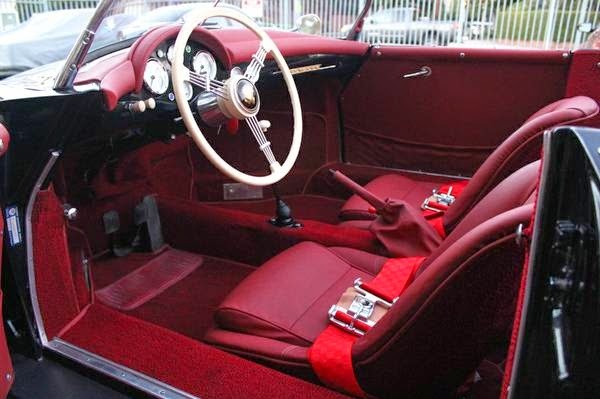 The interior has been refinished with German red vinyl and carpet. 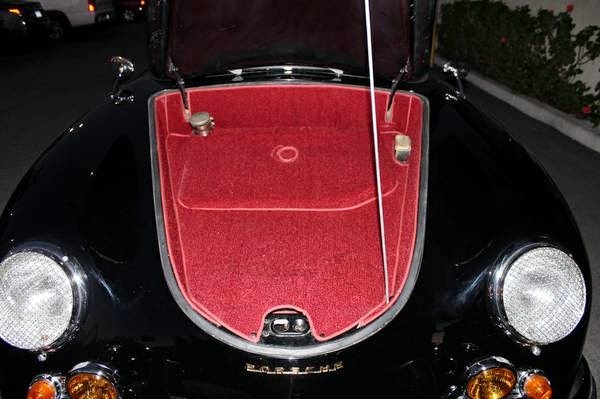 Original style bucket seats, and door panels with pockets. 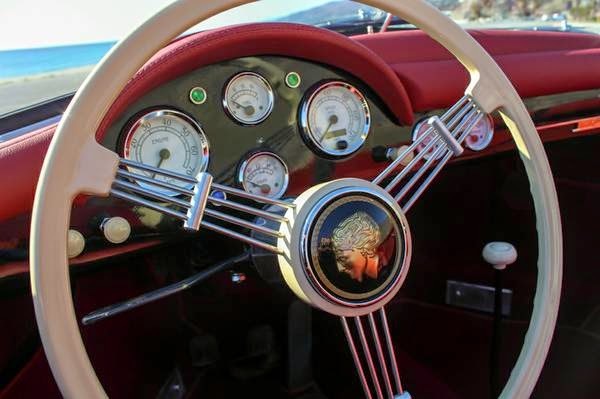 All knobs and switches are in ivory to match. 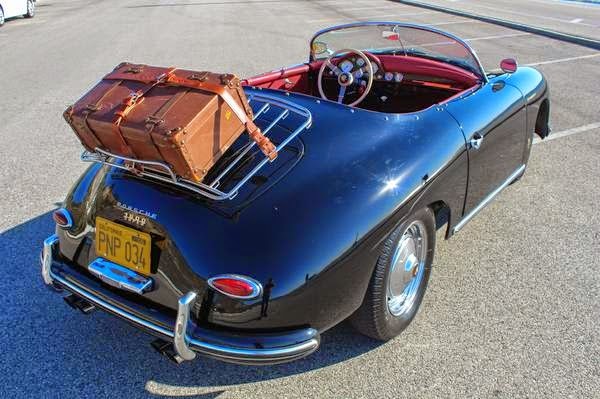 The Speedster replica sits on VW Beetle chassis. 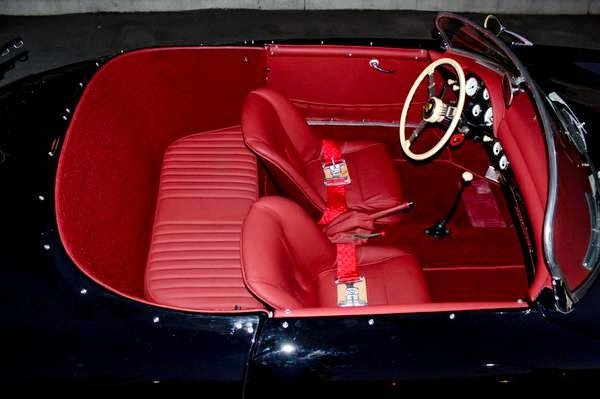 It is equipped with a 1600cc engine, 4 speed, and drum brakes. 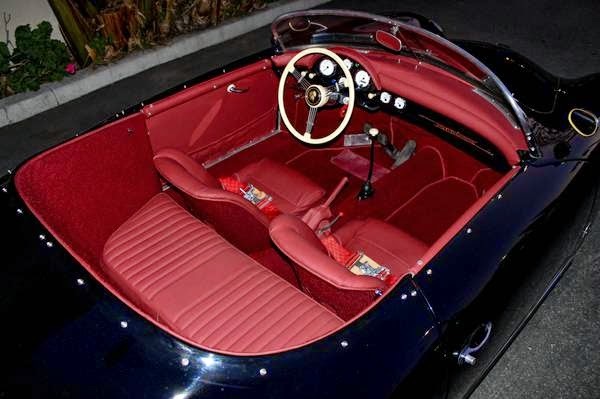 Mechanically it is sound, and has traveled long distances before being restored. 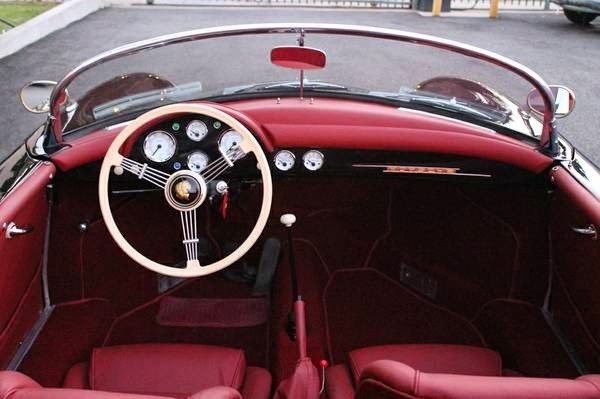 Original order sheets, service records and manuals are still with the car. 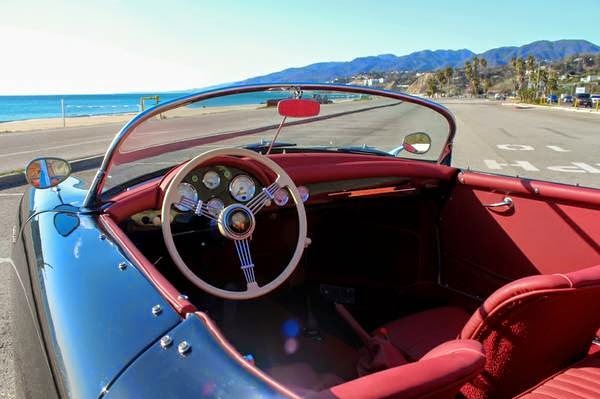 The Speedster is currently titled and registered in California. 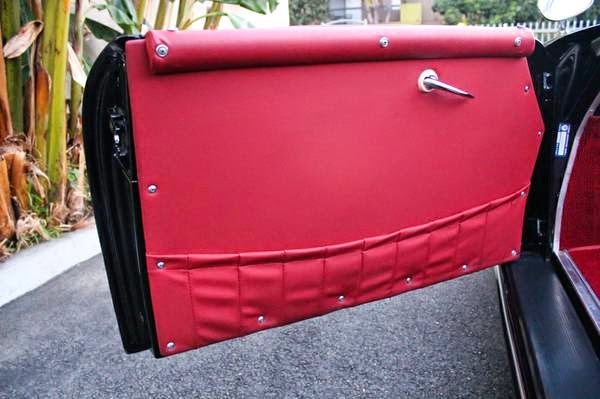 The car steals looks wherever it goes, and is ready to cruise! 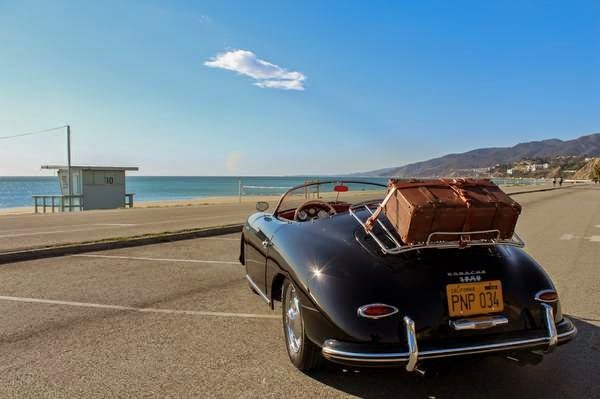 This entry was posted in 1956, 356, Closed, Porsche, USA and tagged Porsche 356 Roadster on February 5, 2015 by buyclass.